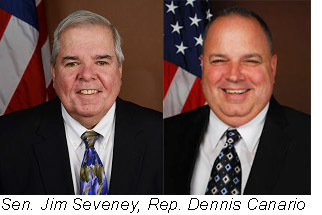 Sen. Jim Seveney (D-11) will host a constituent meeting next Sunday, July 16 at Foodworks Restaurant, 2461 East Main Rd. in Portsmouth from 1:30-3pm, according to an e-mail sent this afternoon. Sen. Seveney's district includes all of Portsmouth, southern Bristol, and an area of Tiverton near the bridge. Seveney says in the e-mail, "Needless to say, some major pieces of legislation, including the FY 2018 state budget, are in limbo and awaiting final completion. Hopefully we'll reconvene soon to finish the work left undone on Friday, June 30th. "Come anytime between 1:30 - 3:00pm to discuss issues, expectations and the latest status on legislation of interest. I'll also share my experiences and insights gained as a first term state senator. I invite you to stop by and let me know what you're thinking." Meeting is free and open to the public. Coffee and light snacks will be available. Editorial note: Written from an e-mail. President of the Senate M. Teresa Paiva Weed (D-13, Newport, Jamestown) has appointed Sen. James A. Seveney (D-11, Portsmouth, Bristol, Tiverton) to serve on the Senate Finance, Special Legislation and Veterans’ Affairs, and Education committees for the 2017-18 legislative session, according to a release distributed today. The Finance Committee handles all matters relating to revenue, appropriations and taxes, while the Special Legislation and Veterans’ Affairs Committee considers legislation on matters relating to veterans’ affairs, constitutional amendments, liquor laws, gaming issues, laws relating to domestic animals, license plates, and commissions and resolutions. The Senate Education Committee is responsible for oversight of all matters pertaining to public education. Senator Seveney is a retired Navy officer. 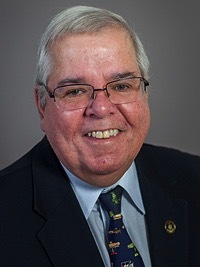 He graduated from Portsmouth High School in 1972, earned a bachelor’s degree from Rhode Island College in 1976, a master of science degree from the Naval Postgraduate School in 1990, and an MBA from Salve Regina University in 2005. His father, Gardiner F. Seveney, served four terms in the Rhode Island Senate, from 1979 to 1986. He resides in Portsmouth with his wife, Valerie. They are the parents of two children, Sarah and Matthew.